Byzantine fashion is a coming trend….. 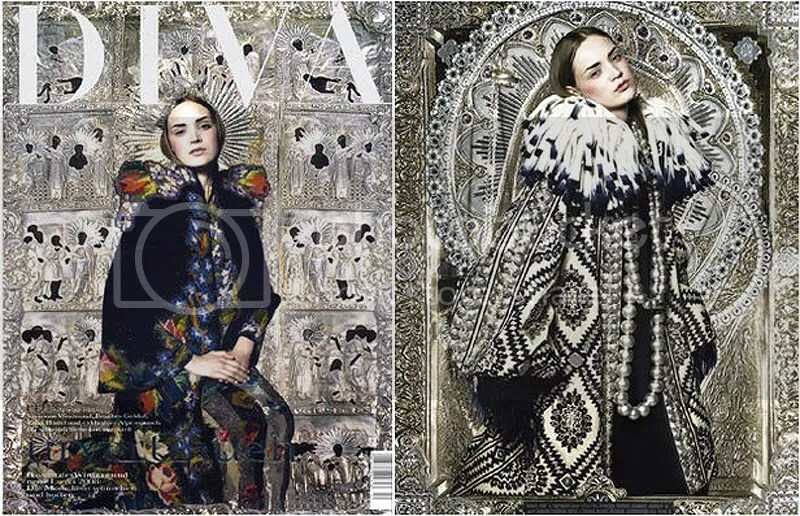 The fashion world has latched onto the sumptious and sensuous world of Byzantine dress and art. When not tirelessly reading and reviewing history text books, the History Books Review team takes a keen interest in fashion and glamour. So while planning future wardrobes we noticed that designers like Alexander McQueen, Jeremy Scott and Chanel are all picking up on the look of the late lineal descendent of the latin republic in its most imperial and exorbitant phase. It had to happen some time didn’t it. But Byzantine clothing and dress are very inspiring, so it isn’t too surprising. If you see someone walking down the Kings Road in Chelsea bearing an uncanny resemblance to Alexius Comnemnus, that’ll be me, doing my bit to promote Byzantine fashion.